OMG that Racist Homophobic Slave-Owning Oil Sheikh’s News Channel is SO WOKE! OMG that news site funded by Qatar is giving out some sick burns today! Yassss! I mean, I thought Al-Jazeera was woke, but their kid brother AJ+ is Wokety Woke Woker than Woke! Yeah! I love how they expose just how horribly racist America is and….Wait, you say their country is run with imported slave labor from India and Africa? That doesn’t even make any sense. I mean, slavery??? In Qatar??? Oh please. Let me guess, you found that on one of your Zionist NeoCon sites like….ummm….The Guardian? OK, so let’s change the subject. OK so where were we? 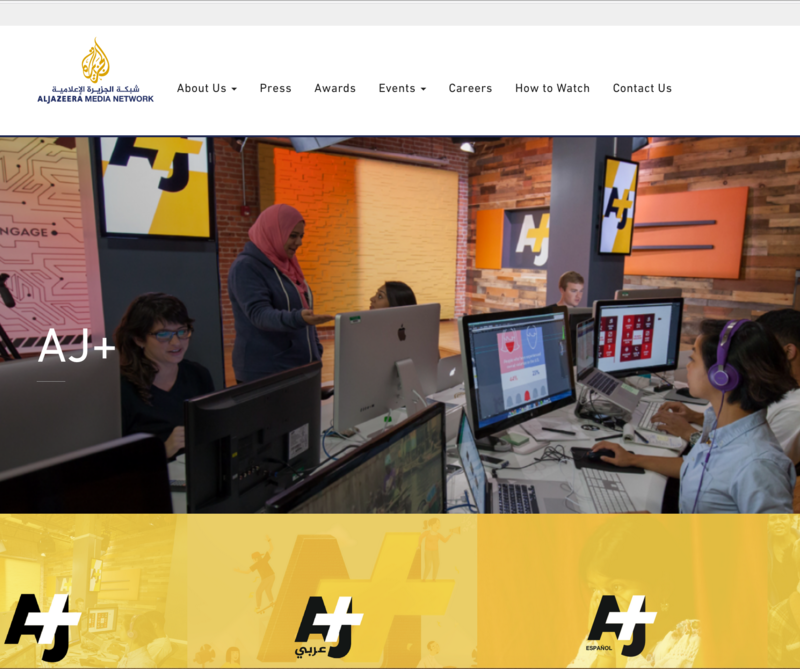 Oh yeah, the Qatari Government that funds AJ+ and Al Jazeera is totally speaking Truth to Power and standing up to Hate and hold on….. funding Hamas? So who complained about it? Probably some Zionist group like AIPAC or Stand With Us or wait a minute….. Saudi Arabia? Again, this conversation is starting to make me uncomfortable. Whatever. Say what you will, but AJ+ has NEVER stopped passionately advocating for Syrian refugee and how they have been treated by racist Europeans! I mean, Qatar was so busy advocating for Syrian refugees at the height of the crisis that they didn’t have time to actually, like, take in any Syrian refugees. But that’s a small price to pay for finely honed advocacy. I mean, AJ+ and its pointed critiques of American immigration issues are really shaking things up! Especially when you consider that only 12% of the people who live in Qatar have citizenship. Oh and that, uh, in Qatar, if your dad wasn’t a citizen, you’ll never be a citizen! But come on! They’re hosting the World Cup in 2022! And besides, AJ+ keeps shining the light of truth on how the West treats its marginalized communities. Which is kinda impressive when you think of it, since being gay in Qatar is a criminal offense. Oh that’s funny, I just read that Qatar also funds the Brookings Institution! Pretty neat, huh?